In 2017 Allteko secured their highest delivery metric percentage since inception. 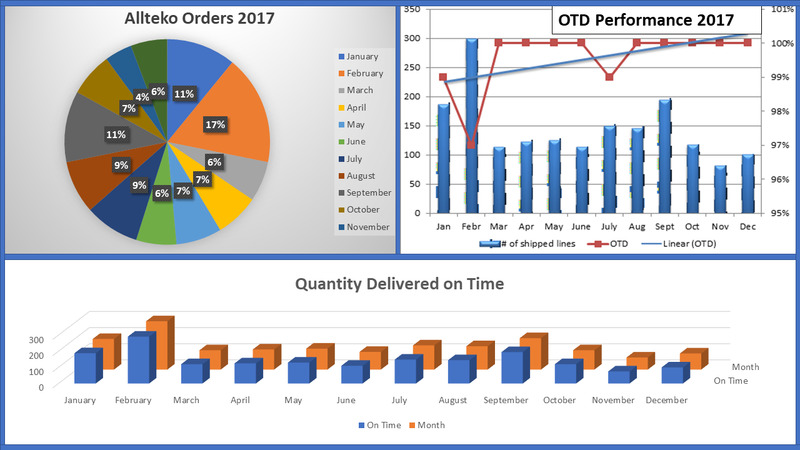 Providing 99.29% of all orders either early or on time. Huge congratulations to our logistics team for this achievement. Allteko continue to push to achieve maximum results in 2018.